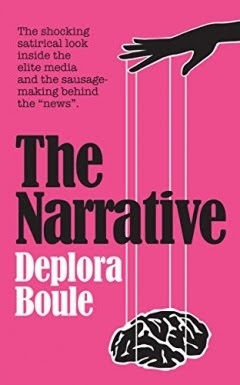 I just read the newly release satirical novel The Narrative by Deplora Boule. Majedah is gifted with good looks, an elite journalism degree, and uncanny reporter senses that tingle when news is about to break. Plucky and ambitious, she’s determined to climb to the top of the broadcast world and land a job at global media giant News 24/7. A story with a flawless narrative catapults Majedah to national prominence—and a position as a pool reporter at News 24/7’s swanky Manhattan headquarters. With one eye on the coveted primetime feminist anchor slot and the other on a past love she can’t quite forget, Majedah uses her impeccable social justice credentials to keep climbing. When she’s pigeonholed as the media expert on an unlikely presidential candidate, will Majedah break the biggest scoop of the century? Or will the scoop break her? This is the funniest book I've read in a long while. It tells the story of MandyMajedah, a woke young journalist who is determined to expose every Injustice. We see the story through her point of view, and every ridiculous SJW trope is written in the funniest dead-pan manner. What's even greater is not only is the book funny, the story is interesting. The novel is set in a fictional world much like ours, where a Republican president (who seems loosely based on a recent losing GOP Presidential candidate) is under constant attack by the media, specially the big network "24/7". The media is all in for the historic female Democrat candidate in the upcoming election, an aging woman senator. 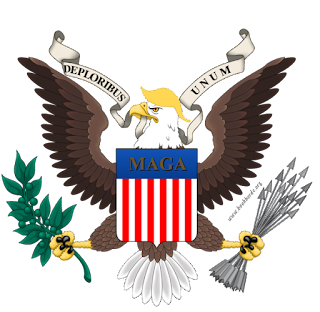 However, the media inadvertently weakens the GOP President so much that a grassroots Republican challenger rises to upset the applecart. And the wacky SJW hijinks escalate. This book fearlessly mocks and ridicules the Left, and yet the remarkable thing is that it manages not to be angry. I feel like the author had a lot of fun writing this, and does not view her character with contempt, but rather with compassion. I actually found myself rooting for Majedah to be redeemed. This book made me snort my coffee with laughter, made me stay up too late reading, made me nod my head in agreement with it's description of the Left. All in all this novel a satirical glitter-bomb masterpiece. The Narrative is free to read for Kindle Unlimited subscribers. If you want to see if subscribing is right for you, can get a Kindle Unlimited 30-Day Free Trial.